Best suspension on the market - WP Xplor Unfortunately not. This is the 'Unicorn' @BiG DoM ! Have to agree with the comments on the exhaust. What is it with these designers who have turned something that is cylindrical into something out of a B-rated sci-fi movie? For those who were/are suspension concerned maybe this sheds some light. Nice little upgrade I reckon. Suspension changes mark the major step forward for the chassis though, with a new WP XPLOR 48 USD fork and WP XPLOR shock. 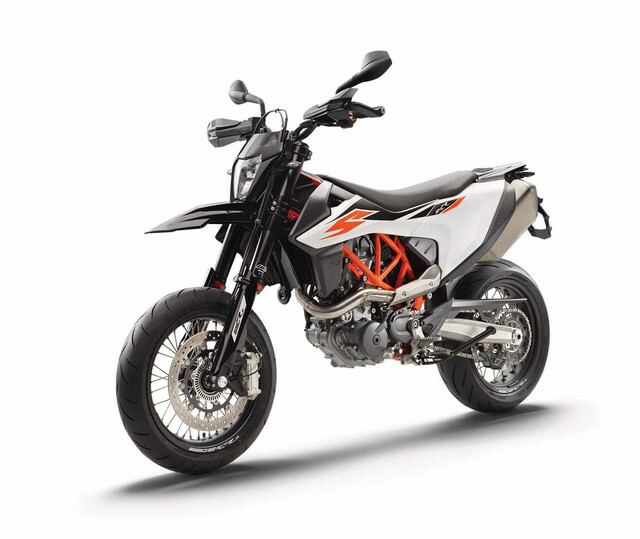 These units were originally developed for KTM’s EXC line. Possibly. 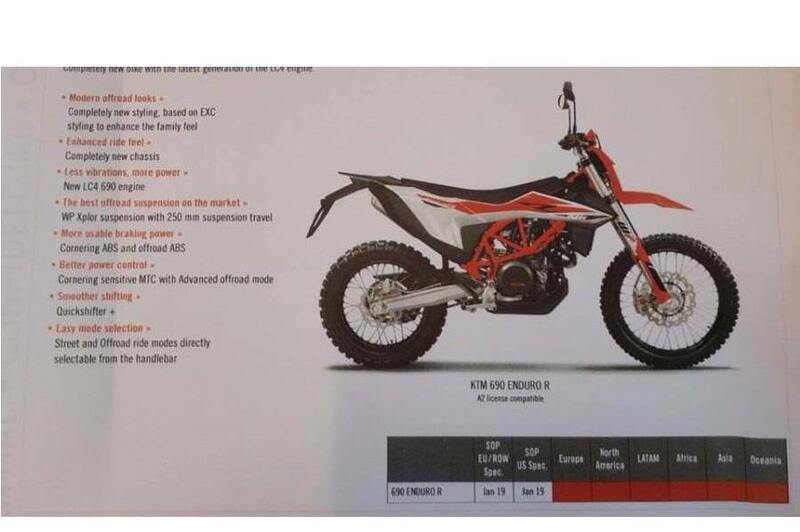 I don't think the current bike's suspension is even remotely as bad as people on the forums make them out to be. In fact I think it's pretty damn good in most cases, so if this is better then the 690 will be all the better for it since it's already so good. 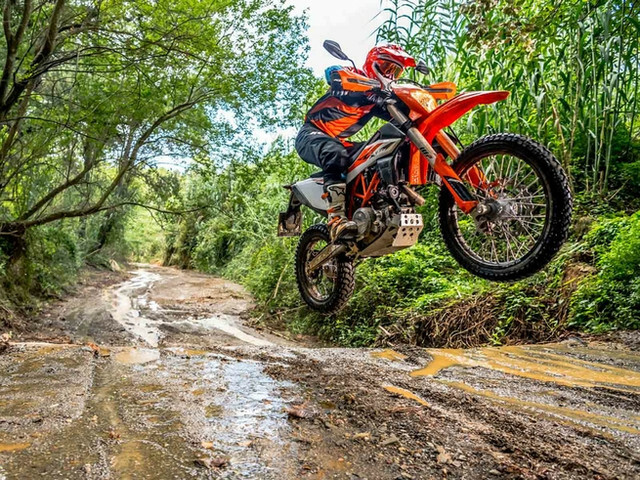 Well, yes, if you consider current 690 suspension good, this one will be better. I for one have swapped the front forks on my 2014 690 as I found the stock unbearable even after Hilton Hayward treatment. The improvement cannot be put into words easily. Yes ,but to be fair you did ad a lot of weight to the front though iirc. The quickshifter comes quite unexpected though. What happens if a quickshifter breaks in the field. I'm assumign you can carry on fine without it by using clutch? Just curious. 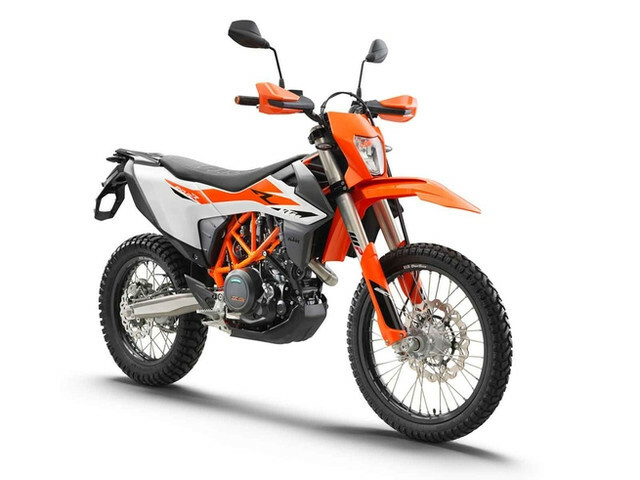 Additionally, riders will have a Quickshifter plus to allow for clutchless up and down shifts as well as Motor Slip Regulation to help smooth out engine braking. Yes you can ride it normally using the clutch. When I had the 4CS forks on the 701 reworked by Martin Paetzold I was also offered Ohlins internals as an alternative. But at around R20k it was a little more than I could justify for adventure riding. He managed to get the final set up quite nice but I know it won't work for guys who do big jumps etc. For my riding this is not issue. 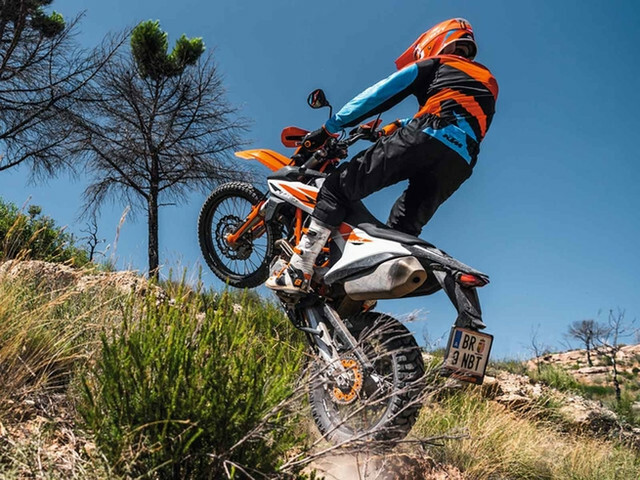 But have you seen the latest spy shots for people who can't make up their mind if the 690 is better than the 701? There are now additional options for the undecided.